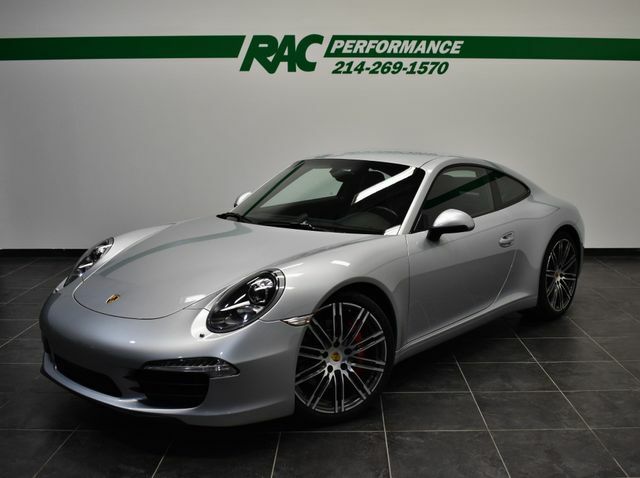 CLEAN CARFAX, 7-SPEED MANUAL TRANSMISSION, SPORT CHRONO PACKAGE, SPORT EXHAUST SYSTEM, NEW FRONT/REAR PADS AND ROTORS, FRESH ANNUAL SERVICE, FULL FRONT CLEAR BRA, BOOKS + 2 KEYS, SPORTDESIGN STEERING WHEEL, 20″ 911 TURBO DESIGN WHEELS, PORSCHE DYNAMIC LIGHT SYSTEM (PDLS), PREMIUM PACKAGE, POWER SPORT SEATS (14-WAY) WITH MEMORY PACKAGE, BOSE AUDIO PACKAGE, RHODIUM SILVER METALLIC, CLEAR GLASS TAILLIGHTS!!! This car has been inspected by our certified technicians and is ready to drive home. Upgrades are available at RAC Performance. TUNES, EXHAUST, WHEELS, TIRES and MORE!